Our Mission: Through our efforts in economic development, the association is striving towards the creation of the environment to help people prosper and succeed through a proactive working partnership with all levels of government and community organizations to achieve a strong local economy and high quality of life. ARES is a unique ranking of world universities as it automatically rates the educational, scientific and innovation activities of universities. The data are collected and processed using the advanced IT technologies such as WEB crawler, parsing, big data, etc.. It allows ARES to receive large volumes of data, and process them without any human intervention. This is the reason why leading ranking agencies take into consideration the ARES results. ARES has two processing centers: one in Europe (ARES processing, Milano, Italy) and one is in the US (Melo Processing Center, Alexandria, Virginia). The ranking strictly follows the EC standards applied to high educational institutions. In 2018, ARES conducted a survey on leading world universities and identified 100 universities that showed the best results in education, research and socio/economic impact. The Harvard University is the world leader in ARES-2018. The University of Oxford came second as the Harvard University demonstrates stronger innovative infrastructure. The Imperial College London shows very good potential for breakthrough research and fundamental teaching. The Swiss Federal Institute of Technology Zurich takes place 18 in the ARES ranking. John Hopkins follows the Swiss Institute of Technology. The University of Munich showed excellent results as a multidisciplinary educational and research university. The Karolinska Institute is a medical university. 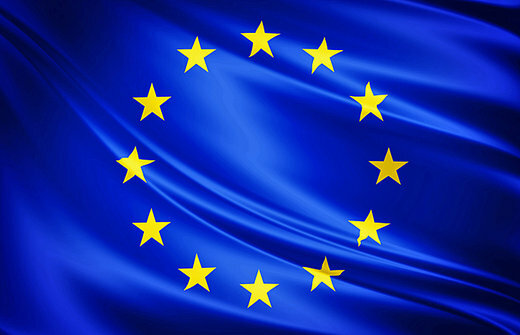 It is one of the leaders in Europe in biomedical education and science. It occupies 47th place in the ranking. It should be more active in the dissemination of its scientific results. Only one Russian University entered the ranking- it is Moscow state university. This is due to the fact that a number of Russian universities do not carry first-class research due to the limited funding available. 2 Chinese universities appeared in ARES. They show excellent results at the world level. Unfortunately, a number of Chinese universities do not show a solid innovative infrastructure needed for the development of breakthrough technologies. Europe vs. the world. I found a very informative ranking- ARES (Academic ranking – European Standard). The ranking is performed by the quality of education and research, as well as, the university’s economic and social impact in promoting their country’s sustainable development. ARES, aims at 1) improving the nation’s attainment and achievement levels, 2) establishing a knowledge base workforce for the 21st century, and 2) promoting social skills that positively affect community development. 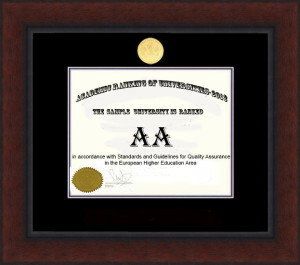 ARES is a unique ranking that provides an evaluation of the university’s activity without any human interference. What are the most important parameters for the ARES evaluation? 1) Education. A University’s quality of faculty is a major role of its ability to nurture tomorrow’s finest minds and inspire the next generation of potential research academics. This indicator measured the number of academics with advanced degrees, who have won major awards, prizes, medals, and student teaching quality assessment data feedback, in addition to, study rate and student-faculty ratio. To calculate each university’s score, a scale set of five values: A- High-Quality Performance, B- Good Quality Performance, C-Adequate Quality Performance, D- Major deficiencies detected, F-Failure to offer quality education and research. In ARES, Statistical data were collected from the available information placed in the ARES database and questionnaires ready available in their WEB sites. 2) Research: This category criterion looks at attributes to the global and regional academic reputation for research excellence. amongst they’re peers. In ARES, an important parameter is a built-in infrastructure for disseminating brand-new knowledge and marketable ideas. The University’s publications criterion is based on the overall number of research papers published in high-quality national, and international papers journals. The quantity of high-quality papers is considered a robust indication of how much excellent research the university produces. 3) Innovation infrastructure: The most important indicator of a university’s success is its ability to help industry with 1) bringing innovative ideas to the market and 2) a work-ready graduated workforce. That can be measured by the number of breakthrough ideas and the quality of innovative infrastructure. 5) Collaboration with potential employers: The data to access these results were gathered from employers, graduate employment rates and careers service support. ARES differentiates between technologically oriented universities and universities oriented to social sciences. In the latter case, ARES ranks the university by its impact on the local community rather than the development of innovative technologies. ARES employes advanced information technologies enabling the processing of a large amount of data from different sources. As I found out, the ARES processing center is in Italy and it employs IT technologies developed by the Polytechnic Institute of Milano and IBM-Italy. The Encyclopedia (Registrar) represents a list of distinguished medical professionals. The key selection criteria for being listed in the European Registrar include professional excellence, exceptional efficiency, and patient-centered high-quality medical care. 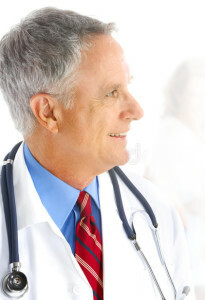 The registrar enables the patient to find the most qualified physicians from different countries and specialties.